Who’s Paying For LeBron James’ New I Promise School? You wouldn’t know from all the national coverage that LeBron James isn’t paying for everything at his new I Promise School in Akron. He’s paying for part of it. A good part of it. But it’s also a public school within the Akron school district, which means that taxpayers will pay for the bulk of the costs. 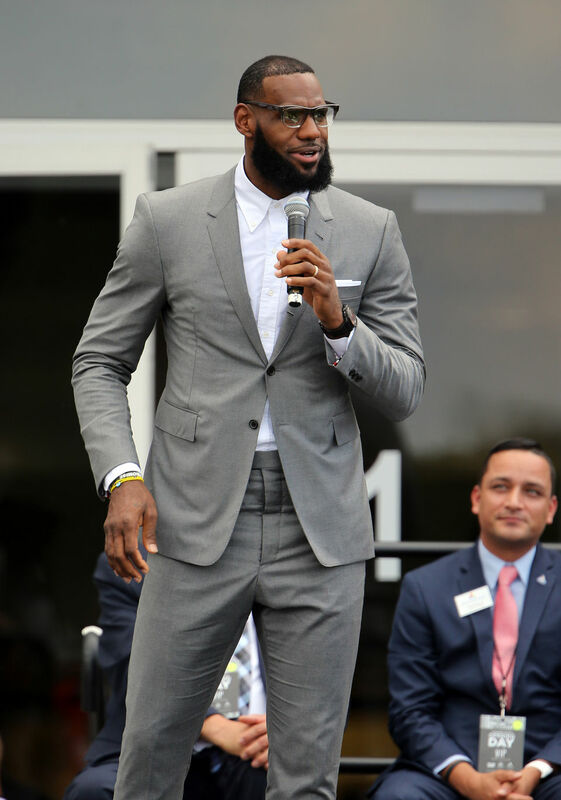 The exact breakdown of expenses for the new I Promise School is unclear, since the district and the LeBron James Family Foundation are still sorting out final details of their contract. But the district will pay more than half the costs – perhaps around 75 percent – once it is fully running. The foundation says it’s spending about $2 million for the school’s first year, including startup costs. It has also committed to spending $2 million or more a year when the school has grown to capacity. The exact amount is still to be determined. In addition, James’ name is also instrumental in drawing the community support that will let the school help some of the most struggling kids in the city. “This school would not have happened without the partnership with LeBron James,” said district Treasurer Ryan Pendleton. On the other hand, I Promise is a district school. It’s not a private school or even a charter school, a form of public schools that are funded with tax dollars but are privately-run. It’s a district-owned building. The district will hire and pay the teachers and administration. Kids will ride district buses to school. And they will all eat the free breakfast and lunch the district gives all students. The new I Promise school gives the program a home to concentrate services. It will take in in about 120 students per grade, selected by random lottery from students who are behind their peers in classwork. That’s a quarter of Akron’s at-risk students at each grade level, the district says, but the I Promise program will continue working with the other students who remain at other schools. About $500,000 of the foundation’s contributions this year, and likely more, will continue. Those cover extra teachers to reduce class sizes to 23 students per-teacher at most, staff training and I Promise’s after-school program. The $2 million would be about a fifth of the schools total costs, but the foundation’s share will also increase in other ways. This year’s costs also include hiring two people to manage the “wraparound” social services the school will have for students. The school will follow the same pattern of providing social services to students – like counseling, health checkups, food pantries, clothing and tutoring – used by districts like Cincinnati and Cleveland, along with a few other Akron schools. And then there is James’ offer of free tuition at University of Akron to students in the program who graduate. They’re not official costs of the school, which stops at eighth grade and doesn’t include high school, but are part of the program’s mission. James announced the scholarships in 2015 for students that were in the I Promise program. The foundation says there are about 1,300 students already eligible for the scholarships between third and 10thgrade, with the new I Promise School students to be added. No scholarships have been given yet. The first eligible students wouldn’t graduate high school and start college until 2021. The university and foundation are also working to develop an “I Promise Institute” at the university’s InfoCision Stadium to manage and improve the program, study how it is working. In addition, the university will place student teachers at the new school.